CAPE GIRARDEAU, Mo. 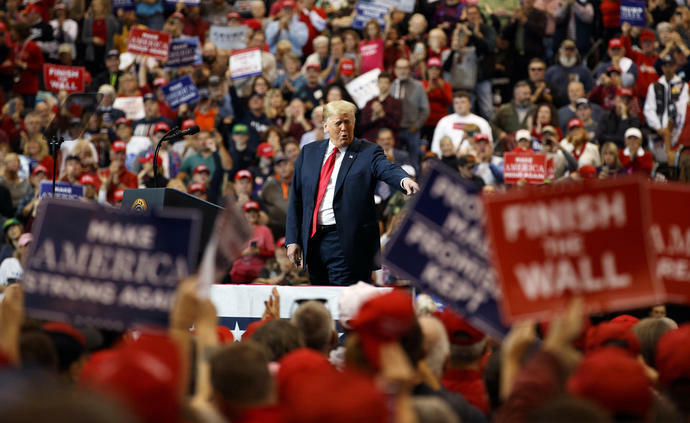 (AP) - President Donald Trump, his shadow hanging over midterm elections that will determine the future of his administration, used his final pitch Monday to ask voters to help preserve "fragile" GOP victories that could be erased by Democratic gains in Congress. At his rallies and on Twitter, Trump's closing argument has largely focused on fear - warning, without evidence, that a Democratic takeover would deliver the country into socialism, spurring an influx of illegal immigration and a wave of crime.